Story as old as time: a guy walks into a gym. Guy sees another guy training for something, glances over inconspicuously a few times, and thinks, this other guy really seems to know what he’s doing. One of these guys is an ultimate frisbee player, the other an athletic basketball player. Guy 1 walks up to Other Guy and says, “Hey Other Guy, I like what you’re doing, what are you training for?” Other Guy responds back “Ultimate Frisbee”, and he expects to go into the tired, obligatory explanation of what that is. Instead, Guy 1 is intrigued and eager to learn more. The conversation ends with Athletic Basketball Player asking to train with Ultimate Frisbee Player (who was merely warming up with some bodyweight SLDLs, psh). I probably did look like I knew what I was doing. I’m a veteran of the Ultimate Athlete Project, with two full seasons of training and more under my drawstring. A person on a program can give off an air of confidence and sense of direction at the gym. They walk into the gym with a job to do, and it shows. But I’ve definitely been on the other end, walking into the gym without a real plan except to pick up some heavy things and put them back down. I wasn’t always the envy of every athlete at the gym… I didn’t start lifting weights until my senior year of college, in the form of a one-credit weight training class. We met for one hour a week. I learned some basics and some safety–don’t be too proud to not have a spotter for that bench press. The thought of lifting for ultimate hadn’t crossed my mind. I played on a team called the Grundlebugs–a name that might speak for itself…we’ll say a very “fun-focused” squad. So, while I enjoyed this lifting once a week, I didn’t get much out of it but a small base off of which to build. Training for frisbee really started for me in 2010 when I joined a serious club team–the Virginia Squires (R.I.P.). I did the training the team prescribed, which involved beastly track workouts, “vomit runs” (tabatas for 20-30 minutes), and five-hour practices on Saturdays and Sundays. I was in very good shape that season, but feeling sore was regular. I had this feeling that that style wasn’t sustainable, especially when I got into my late twenties. UAP Beginnings: Is this right for me? I joined the UAP the next season in 2011, basically when it first launched. I was an OG UAPer, even if I didn’t use it much back then. I thought it was totally tubular that someone had created a training regimen specifically tailored for frisbee. I wanted to be a part of that. I gave that first year the old college try. Most of the lifts seemed new and unfamiliar to me with my one-credit-lifting-class-worth of experience. Melissa Witmer, the UAP architect, did a good job of explaining each one, along with introduction videos, including “How to Read the Workouts”. I lifted here and there, but didn’t dive full into the program just yet–I wasn’t fully sold. Coming from track workouts, the UAP’s Conditioning and SAQ seemed short. I know I’m not the only one who has felt this with UAP. The lifting challenged me, but the running workouts rarely seemed to, likely because I was used to long track workouts that made it hard to walk the next day. However, as time went on, and as I worked my way through my twenties, I started to change my training philosophy. I introduced yoga into my life, which brought a refreshed energy and eagerness to exercise. I started to exercise every day, even if it was just something shorter. Exercising every day is part of the deal if you decide to dive fully into the UAP. Melissa’s program is built around working out almost every day. These workouts aren’t monstrous 3-hour sessions, though. They’re consumable, but when put together over a season, they’ll turn you into a different athlete. More on that later. So yes, the running workouts are shorter, but when combined with all of the weight training, I felt like I had similar endurance on the field. The biggest difference was that I recovered much faster the next day. 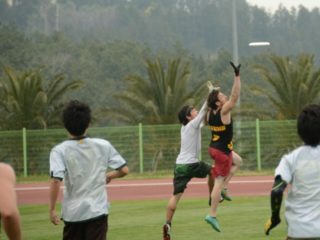 In 2016, after living and playing abroad for three years, I decided to try out for DC’s top men’s team, Truck Stop. I had always wanted to play on a Club Nationals-level team, but life took me elsewhere. Then life brought me back. In the two months before I returned home, I picked up Melissa’s shorter, less comprehensive program “12 Weeks to Game Time.” That built some confidence. But I had a feeling two months wasn’t enough. I wasn’t sure if, at 27, I could be a rookie on a team this good. I was right. I got cut. And that’s when I decided to do my first full year of the Ultimate Athlete Project. When I returned to the UAP in that 2016-2017 off-season, I came back to a hugely improved website, along with nutrition tips, seminars from other trainers and players, and more. 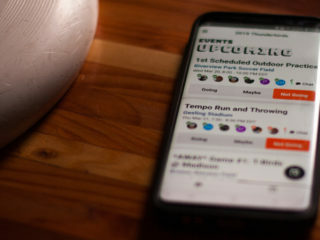 I’m still finding new things on the site, and I know there are aspects I have yet to take advantage of, like the app. I’m convinced that If you use the UAP in its entirety, it’s like having an affordable trainer. I was still a lifting toddler at this point, as I’d only done the UAP in small chunks. So when I started the program back up, I found the video and notes for each exercise helpful, and essential. It seems like video demos are becoming standard now for workout programs, but Melissa’s video explanations, along with her cues and written tips, give a complete picture on how each lift should go. What’s missing? I think it would be cool to understand what muscle groups each lift is focusing on. To take it next level, it would be even cooler to hear how each lift or movement can translate to frisbee. That’d be icing on the cake. I made the team the next year as a 28 year-old rookie. Now I’m 29 and in my second season with Truck. After my second year in a row of using all six offseason phases, all three preseason and all three in-season phases, I feel confident in my lifting ability. My goal was to peak at Club Nationals in 2017. 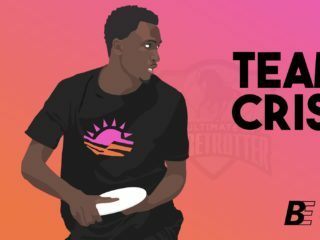 I did–and it’s probably the best my body has ever felt during and after playing ultimate. I wasn’t once sore at Nationals. I felt stronger, springier, and more powerful. I also felt really confident–the confidence that only a whole heap of preparation can give you. I haven’t seen Athletic Basketball Player since that conversation we had at the gym. Maybe he moved away. Or maybe he just didn’t have a program to follow regularly, like I do. Backward Lunge to SLDL: “Most unforgettable”. In-season Phase 3, Lower. This one’s a marathon, and a lot of form to think about. Feel the burn! Never failed to be sore the next day from this one. Split Squat Cable Row: “Cutest Couple” I’m unable to find which phase this one’s in. I love exercises that recruit a lot of muscles, so these two exercises working in tandem is full body bliss. Typewriter pull-ups: “Most Creative”. Offseason Phase 6 Upper 1 is where you’ll find the half typewriter variant. The one I remember is the full version. Wanna turn heads at the gym? Do these and look sweet! DB Row: “Most Likely to Succeed” Here’s what I’d do if Ahhnold walked into the gym. Used throughout many phases, I think I like this one because it’s my best exercise (probably because it’s used throughout many phases). Wall Overhead Iso Squat: “Most Thoughtful” Preseason Phase 1, Lower: This one could seem like it lasted forever. I’d try to meditate in the pose and focus on breathing so I wouldn’t count down the seconds. Deadlift “Most Popular” Offseason 3 Lower 2: not unique to UAP, but such a complex and challenging exercise. I had never done deadlifts before UAP. This is the exercise I did the most research on. I just wanted to get better all the time. It reminds me that weightlifting can be like a new sport in that sense, a new challenge that I can always improve on.